Japanese Spacecraft Hayabusa 2 Reaches Asteroid 162173 « Adafruit Industries – Makers, hackers, artists, designers and engineers! 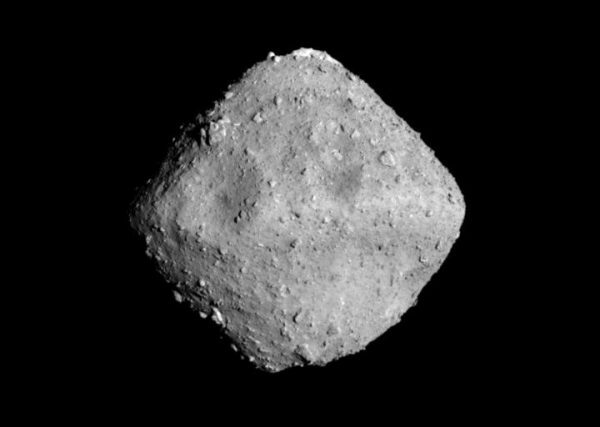 At approximately 9:35 AM Japanese Standard Time on June 27th, the JAXA (Japanese Aerospace Exploration Agency) spacecraft Hayabusa 2 successfully rendezvoused with its target, the diamond-shaped asteroid 162173 Ryugu. The spacecraft launched on December 3rd, 2014, and has spent the last three and a half years en route. The spacecraft is now just 20 kilometers away from Ryugu. It’s a giant step for the mission, as the Japanese team has confirmed that Hayabusa 2 can maintain a constant distance from the asteroid. This means that the journey phase of the mission is over and the exploration of the strangely shaped asteroid can begin. The shape actually needs to be taken into account as JAXA prepares a plan to explore Ryugu based on what the spacecraft has learned en route. Over the next month, Hayabusa 2 will close the distance to Ryugu to just 5 kilometers. The spacecraft will also map the surface of the asteroid. Depending on how that process goes, the spacecraft could land on the Ryugu as early as September or October. Hayabusa 2 will return a sample of the asteroid to Earth in late 2020.